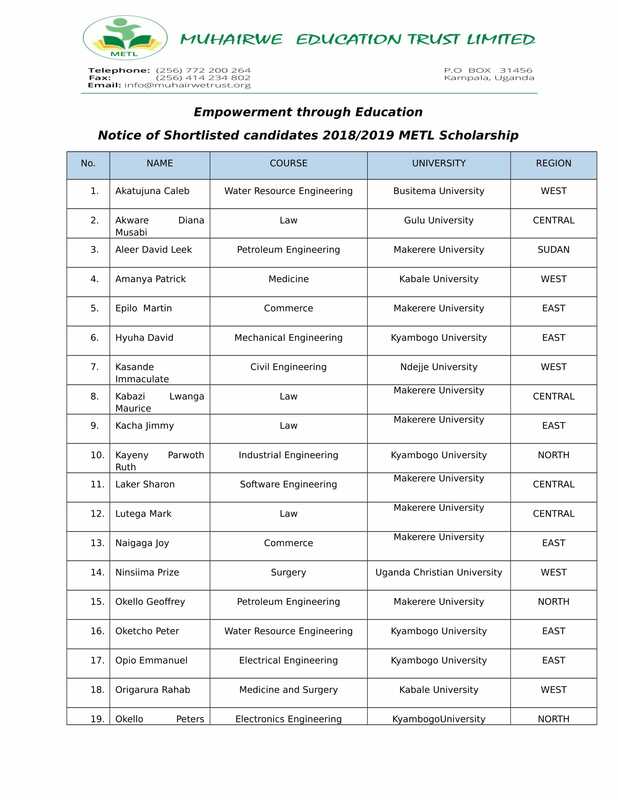 KAMPALA – A local NGO, Muhairwe Education Trust [METL] has shortlisted 23 brilliant but needy students for interviews to gain sponsorship for University Education. 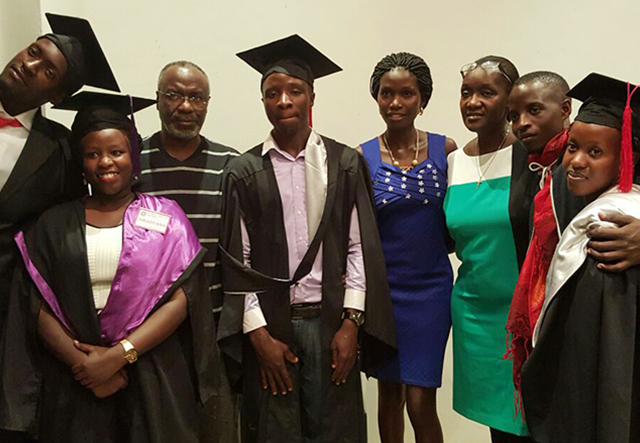 According to Ms Patricia Nyakwera, the METL Co-ordinator, the NGO targeted students who sat for A’ level,, qualified to make it to the university with excellent results but did not have money for tuition to apply for sponsorship for the 2018/19 university intake. “Muhairwe Education Trust Limited (METL) with great pleasure wishes to thank all applicants who responded to the advert published on the PML Daily website,” said Ms Nyakwera. “In the same spirit, we wish to congratulate the following applicants who have passed the initial evaluation process and have therefore been shortlisted for consideration of an award of scholarship,” added Ms Nyakwera. METL is a non-profit organization was set up to help you achieve your dream, give you hope and a future. You will be able to join a pool of academicians and colleagues who have graduated under this scholarship scheme and who are also individually or collectively contributing towards this cause. Ms Nyakwera explained that the trust is dependent on private voluntary support and contributions. She revealed that METL went through the applications and has shortlisted candidates to undertake oral interviews on Wednesday 29th August 2018 at Padro Pio Building METL office on the 5th floor at 10:00 am. “All candidates are required to carry their original academic documents and identification cards and for any clarification please contact METL Coordinator on +256701106314,” reads the dated 24 August seen by PML Daily. She explained that METL will pay only tuition fees for all successful applicants and those successful candidates should be able to meet all other related costs during the tenure of their studies at the Universities.